Well, maybe so ? Second approach is vertical version. The attached rear view. Exposed printer port. 'Do deal with it what you want. Excision reduce a little mechanical strength, but do not know how much. I do not know much about mechanics. Do not worry DB9 connectors. I have only 3D model in DB9F version. Joysticks will have DB9M sockets. The three edge connectors give more strength to the coupling than if they where only two. The DB connectors are near the edge ones, so will be no torsions plugging and unplugging the joysticks. Also it protrudes very little from the height of the computer. Is better for right-handed(like me) the PS/2 port at the right to put the mouse at the side of the internal joystick. The forces are larger than horizontal structure (lever), but I'm optimistic. Is better for right-handed(like me) the PS/2 port at the right to put the mouse near the internal joystick. PS/2 socket is now on the right, over the RESET button. I hope that's not a problem? The PCB is a rear view. The distance between the housing and the plug PS/2 ? Is it better to put the socket down, to was just above or level with the housing ? Comparing measures of the real Enterprise with your actual design, I think that it allows to insert comfortably a finger below the mouse cable plug, as the reset button is only a little higher than the edge connector. The eight of the PS/2 connector? If you lower it then less space for a finger. You must weigh it. If for aesthetics I don't mind seeing the connector and plug. Do not just put a finger. You have to bend it yet. I lowered position of the plug-in, now it is just above the enclosure. Now you can easily get to the RESET button over plug. PCBs also decreased. Now it has 43 mm in height (98 mm width). Now, a little sadder news. I checked yesterday possibility to connect two joysticks and mice in such a way that do not interfere with each other. Because of the unusual interface circuit within the Enterprise, practically you have to separate each line of each device. 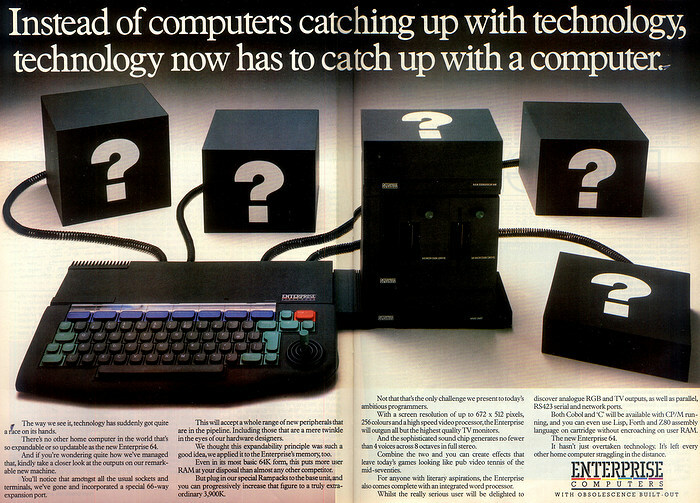 It would be required a large handful of transistors or at least a few additional integrated circuits. Therefore, on the attached view appeared a PLD chip Xilinx 9572 in PLCC44 case. Its price is comparable to that handful of transistors (approx. 8 USD). By the way, I do not have to worry about the additional transistors, which would connect additional fire buttons. To which KB lines do I connect Fire2 and Fire3 ? To the administrator: I think it would be better to move this new development to other thread to not confuse it with the "classic" Boxsoft interface and "derivatives". I think that putting the Fire buttons on rows 0 or 5 of J,K and L columns will give us three fire buttons for each joystick port. The three buttons can be read with only one IN (0xB6h) instruction. 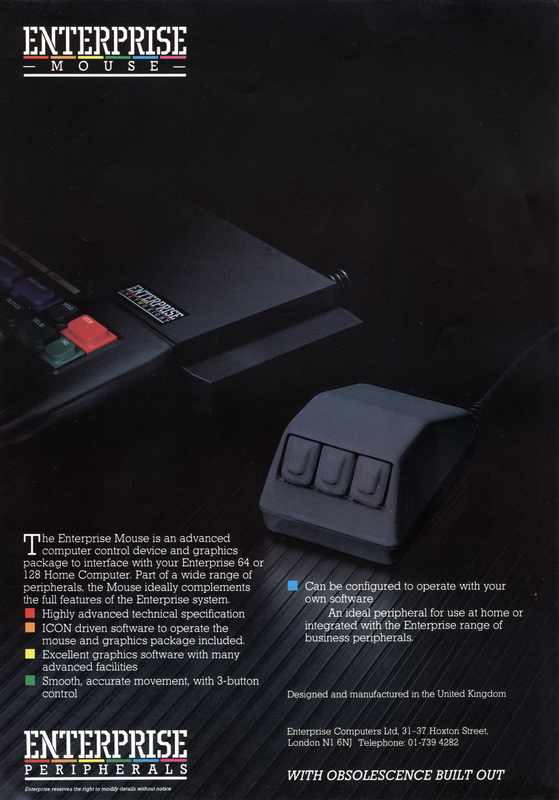 The mouse can share the right button(row 0, L column) with third Fire button of Joy 1 for backwards compatibility with the Boxsoft interface. Or you can leave pin 5 of the DB9 not connected and forget third Fire buttons. I think it is enough with two Fire buttons. But we need imperatively the Left mouse button at row 0, K column be at the same time the second Fire button on Joy1. I think it doesn't matter for normal use. 5 Fire 3 Not standard, only Kempston joysticks. Normally not connected, or used for mouse-pad signals on Atari-Amiga connectors. 9 Fire 2 Not widely used for fire. Yes in Kempston. On Amiga connector can act as second fire or for mouse-pad signals like on Atari connectors. All connections between the Enterprise and the devices will be inside a PLD. At any time you can change the connection layout by JTAG.